Hummingbirds have long lifespans for organisms with such rapid metabolisms. The lifespan in the wild varies by hummingbird species, for most it is about 3 to 5 years. Larger species can live over a decade. 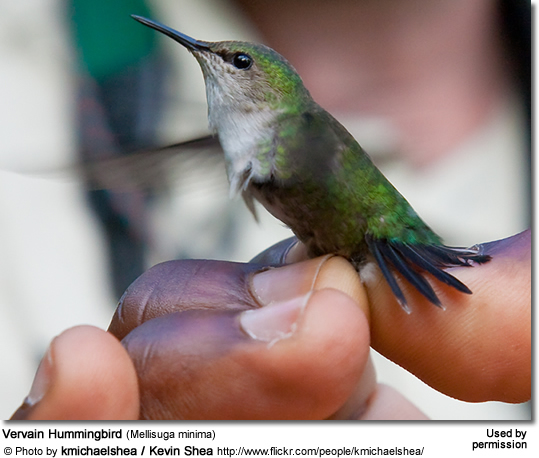 The record of longest living hummingbird was held by a female Broad-tailed Hummingbird. She was banded as an adult in Colorado in 1976, then recaptured in the same location in 1987 - making her at least 12 years old. One female Black-chinned Hummingbird was at least 10 years and 1 month. 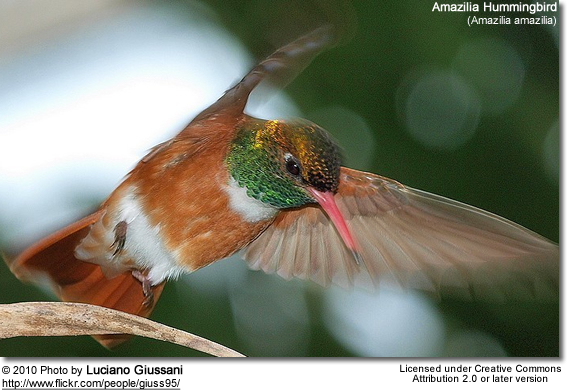 One much larger Buff-bellied Hummingbird was recorded as 11 years and 2 months. The oldest known surviving Ruby-throated Hummingbird is a banded bird that was 6 years 11 months old. The oldest known Rufous Hummingbird is a banded bird that was 8 years 1 month old. However, many don't make it through their first year. They are particularly vulnerable in the period between hatching and leaving the nest (fledging). Various larger birds, snakes and mammals raid their nests for eggs and chicks.